Multiplayer games such as Diablo, C&C: Red Alert 2, Carmageddon, Age of Empires 2, Atomic Bomberman, Sid Meier’s Alpha Centauri and many other 90’s-era titles used IPX / SPX as their protocol of choice for local multiplayer. Windows based IPX games are fully playable after enabling and configuring a LAN connection to support IPX / SPX protocols. 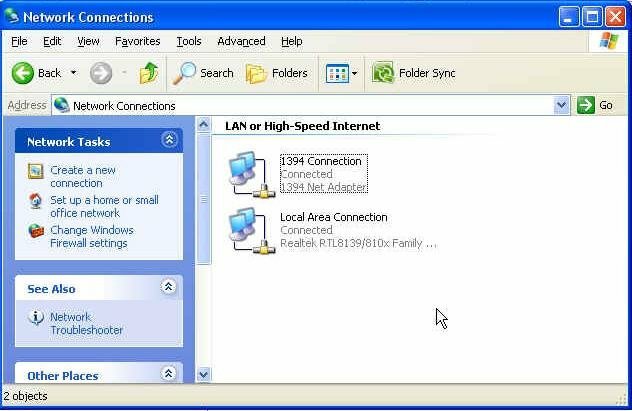 Be sure to check out this guide on how to establish a working LAN connection in Windows XP before attempting this tutorial. Also, this tutorial is specifically meant for Windows based IPX multiplayer games (eg: Diablo, C&C: Red Alert 2 or Age of Empires 2). Older MsDOS IPX multiplayer games such as Doom, Heretic, Hexen and so on will be the subject of a future article. 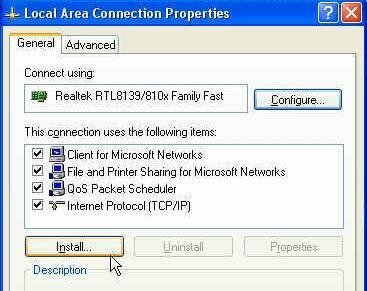 Open your LAN connection in the Network Connections window. If you cannot find this protocol, then read Step 2, where I’ll quickly show you how to install one. 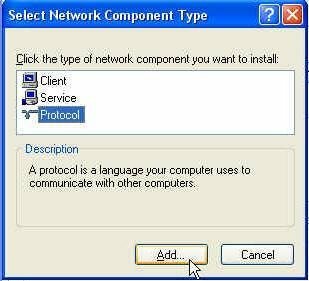 If, on the other hand, you do have this protocol installed. 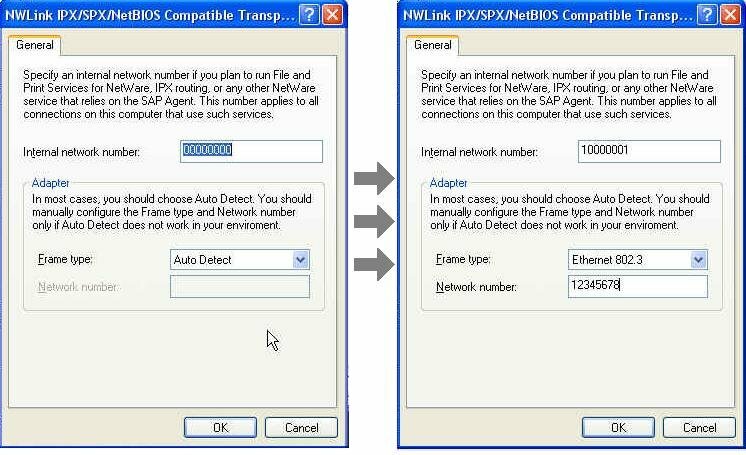 skip Step 2 and move directly to Step 3 (Configure your IPX / SPX / NetBIOS Protocols). 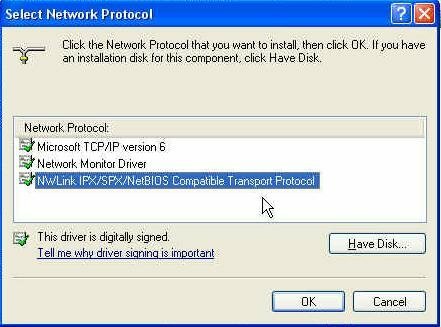 From the Local Area Connection Properties window, click Install, as shown below. 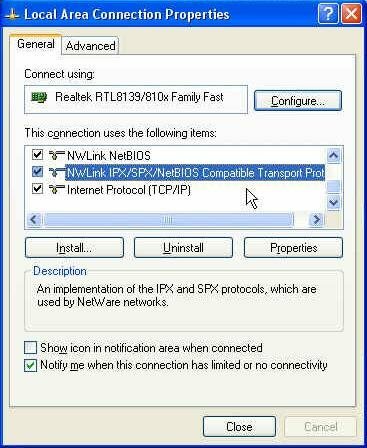 Select “NWLink IPX/SPX NetBIOS Compatible Transport Protocol“. 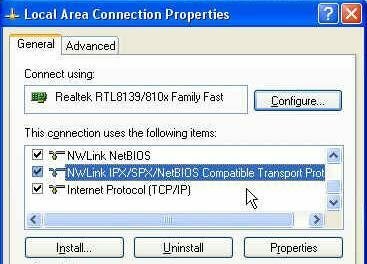 The “NWLink IPX/SPX NetBIOS Compatible Transport Protocol” should now appear in the Items window at the bottom of the list, just above Internet Protocol (TCP/IP). In the Frame Type drop-down box, select “Ethernet 802.3”. Change the Network Number to any eight-digit number you like, such as “12345678”. Enter this value for each computer. You’re almost done! These changes must be applied to each computer in your network. Remember to change the Internal Network Number on each computer according to their connected port number. You simply need to add +1 to the end of each number. Computer 1, which is connected to Port 1 on your router, already has an Internal Network Number of “10000001“. Computer 2 will have “10000002“, 3 will have “10000003” and so on. All other values must be left unchanged. After a connection has been established you’re free to host and join games at will.